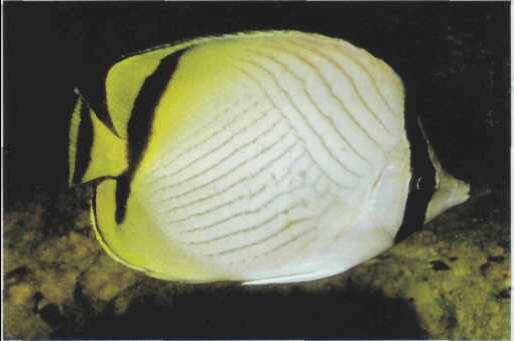 The color of the young vagabond butterfly fish differs from that of adults. This species is not given to shyness and is easy to feed, with live prey and vegetable supplements. Its acclimatization is relatively smooth. Size: 1 5 cm.